Smart SMALL BUSINESS WEBSITE DESIGN AHMEDABAD Smart. Designing and developing a professional website that not only looks good but performs well for small business is what Brand Core Media leads into. We do such small scale website development in Ahmedabad with utter care and respecting the overall requirement of the customers. Website design in Ahmedabad that is perfect for the specific requirements of the small scale organizations and individual customers is growing market these days. We provide such website design services with absolute zeal of creating website that is not only user friendly in terms of navigation but also informative and generate ROI through online mediums. The most disturbing that that most of small scale industry owners in Ahmedabad are complaining about is that they have invested a lot in making a website and they are not happy about it. On the other side when you contact Brand Core Media for your web development or search engine optimization project with budget constraints, we suggest you the right solution that your company should go with. We understand and take care of every small detail that you want on your website from the very first go. We listen our customers carefully and understand their typical requirements and produce a master product that answers their entire requirement at competitive budget. 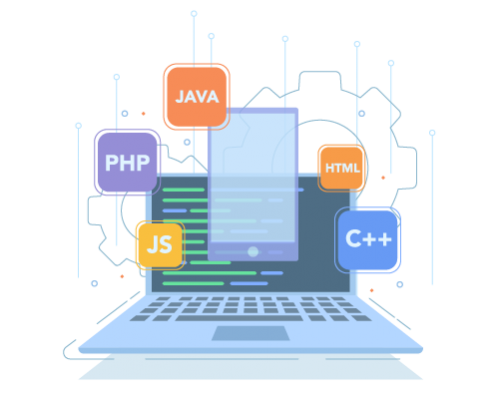 Also one more thing that we like to note here is that our small business web design comes with custom CMS development that allows website owners to make future changes with ease. This sort of website design is ideal for photography website design, creative website design for architect and interior designers, website design for doctors and hospitals and small restaurant website design. As an Ahmedabad small business website design expert, we support small organizations, individual professionals and local business houses with not only website design and graphics that they can afford but also perform Search Engine Optimization at a cost that they can afford. REASONS FOR CHOOSING BRAND CORE MEDIA FOR YOUR SMALL BUSINESS WEB DESIGN PROJECTS IN AHMEDABAD? We work in synergy with our customers. Our team of graphic designers, web developers, content writers, internet marketing professionals and social media geeks creates a product that not only suits your business but help to improve the overall corporate identity. We work at a pricing that is competitive and serves all bespoke requirements that can boost businesses’ online presence. We make website with responsive web layout that enables it to easily accessible through mobile and tablets. We do all initial work like we submit your website to major search engines for content and through website sitemap as well. Our website design is well in criteria of Google search engine optimization and we optimize if for all factors like image tags, keyword density, anchor text, internal linking and more. We provide unique content writing for website as well. Based on the experience we have and the size of business for internet we cater, we can provide you the website design and development with latest technology and current standards. Our product is customised for small businesses to get higher traffic on their website and get competitive advantage through communication channel like online chat, integration with social media channels and search engine optimization. Brand Core Media can produce a tailored made website design in Ahmedabad that is specially made for your organization and within budget and timeframe you are looking for.